Enjoy maintenance free living at Mercer Point. This 1 bedroom / 1 bath condo is located on the ground floor of building 1 which is next to the pool, clubhouse and tennis courts. Upgraded with durable laminate and ceramic tile floors as well as Corian counter tops in the kitchen. The unit has an office/flex-space and located off the living room, is a screened in porch with a wooded view. Perfect for enjoying your morning coffee or kicking back on the balmy island evenings. Spend your weekends taking advantage of wonderful amenities that come with living at Mercer Point. These amenities include fitness facilities, a billiard room and community car wash, plus much more! 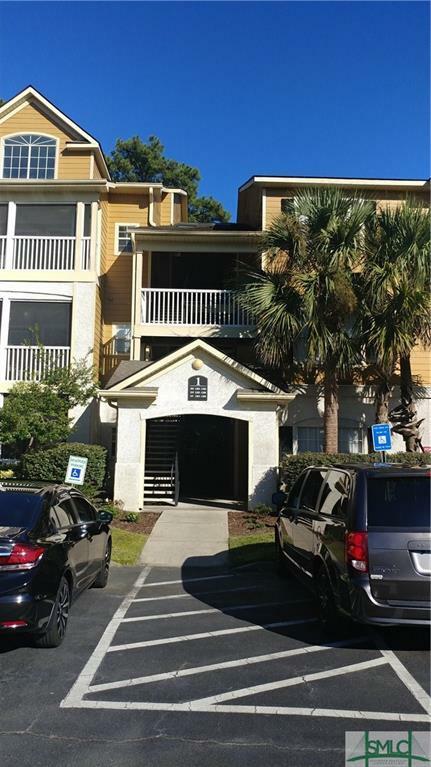 The Whitemarsh Island location is convenient to grocery stores, specialty shops and dining, and is only a short drive to either downtown Savannah or Tybee Island. Have your agent book a showing today! Listing courtesy of Jodi Clark of Lufburrow Realty Company, Llc. © 2019 Savannah Multi-List Corporation. All rights reserved.